Reducing steps, ensuring safety, maintaining professionalism. Manufacturer, Purchasing Agent, Designer, or Installer? 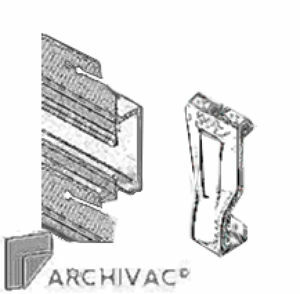 Archivac© is a furniture closure and installation engineering system. Primarily creating custom panels that can be removed, tied to furniture that assembles with an open back e.g., frames and desks. And our point residential system will be unveiled later this year, changing how homes hang and display artwork/photos, forever. Our furniture closure system has several key functions, either a four-step or five step process, depending on desired options. Lion Heart Mirrors exclusively holds the right to all patents and associated systems. Lion Heart’ s main office in Brooklyn, NY USA. Contact us for inquires. What are some comparative differences? Systems like no other, performing and applying to an array of functions. Installation engineering consultation requires detailing of scope and relevant/applicable FF&E drawings, along with site conditions for review. We are happy to provide pricing or preliminary review at no cost. Inquire within. walls. In addition many imports have questionable fumigation practices. a quick and reliable solution to get a room ready for reservation or booking. piece look finished. Moreover, all panel closures have an excellent fire performance class. locking that bypasses typical wrenching and troubleshooting. See technical data download for more info. Panthros Commercial Gallery System will be available later this year. Novel and internal design allows for easier deinstallation, Rod-end hanger has viewport and display track mounts by way of keyhole hanging. All designs, concepts, names, etc. – contained in this Website are protected by copyright laws, and may not be reproduced, republished, distributed, transmitted, displayed, broadcast or otherwise exploited in any manner without the express prior written permission of Lion Heart Mirrors. You may not download material from this Website, with the exception if it is for your personal and non-commercial use only, without altering or removing any trademark, copyright or other notice from such material. Lion Heart Mirror names and logos and all related trademarks (including Lion Heart Mirrors’ names and item numbers), trade names, and other intellectual property are the property of Lion Heart Mirrors and cannot be used without its express prior written permission. Thank you.